Two weeks of football are in the books. Here are the New Hampshire Notebook's statewide top 10 football teams in the NHIAA. 1. 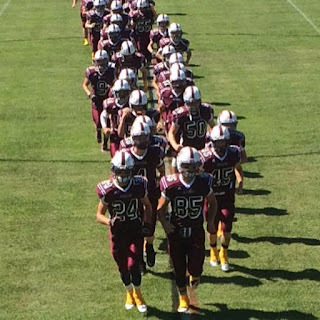 Goffstown - there's five 2-0 teams in D-I, so why is Goffstown #1? Because not only are the Grizzlies 2-0, but in both of their games they absolutely crushed the competition. They went up 35-0 on Concord early in the 3rd quarter and it was running time the rest of the way. In week 2 vs. Keene they were up 37-0 at halftime. Goffstown, Bedford and Pinkerton are all 2-0 and all their wins have been blowouts. Goffstown is the only one of the 3 teams with a win over another top 10 team (Concord). Goffstown's thumping of Concord looks even more impressive now, following the Crimson Tide's win over a tough BG team this past weekend. 2. Bedford - A very strong start for Bedford, with first-year head coach Derek Stank. Blowout wins over Nashua North and Nashua South. 3. Pinkerton - I know most people are ranking Pinkerton #1, I'm not sold yet. They had 3 players on last year's team who were D-I college prospects. Lineman Noah Robison is now playing at Coastal Carolina University. Lineman Hayden Sturdevant transferred to the Salisbury School. RB/DB TJ Urbanik is out for the year with a knee injury. Yes, Pinkerton is still really good. They cruised past Spaulding and Portsmouth in the first 2 weeks, but neither team is considered a contender. For now at least, this is as high as I can put the Astros. 4. Salem - A close win over #6 ranked Winnacunnet and a blowout win over Dover. Salem was one of the top 4 teams in the state last year, they have a lot of kids back from that team and they haven't disappointed so far. 5. Exeter - A close win over #7 ranked Timberlane and in week 2 they cruised past Spaulding. They were one of the top 8 teams in the state last year and have a lot of kids back. 6. Winnacunnet - Barely lost to Salem in week 1, and then in week 2 they had a blowout win over a Merrimack team which beat Portsmouth by 2 touchdowns in week 1. 7. Timberlane - They were right there with Exeter in week 1, and if not for a couple of costly penalties they could have won that game. This past weekend the Owls topped Londonderry by 3 touchdowns. 8. 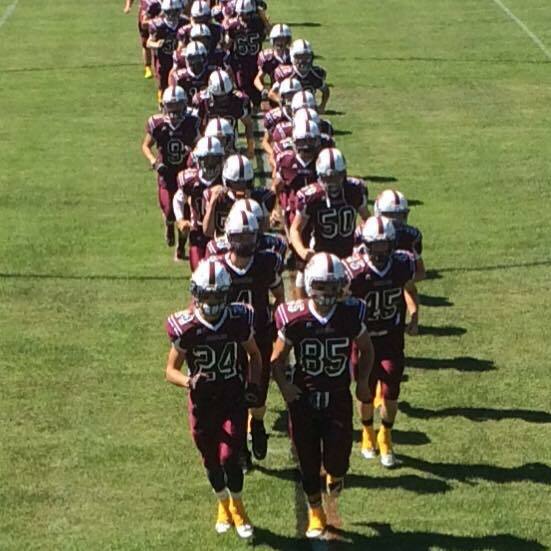 Concord - their week 1 blowout loss to Goffstown says more about how good Goffstown is than how bad Concord is. Then this past weekend the Crimson Tide beat a BG team that was in everyone's top 10. 9. Bishop Guertin - a blowout win over Central in week 1, and a narrow loss to Concord in week 2. Both Concord and BG are 1-1, but Concord beat B 17-14. So Concord is ranked #8 and BG is #9. 10. St. Thomas - the Saints appear to be the early favorite in D-II, with a pair of blowout losses in their first two contests. If they keep it up they could certainly move up higher on the list.